A new chapter opens for everyone as winter is unveiling unto spring… The year 2019. Regardless of what you might be going through, take a moment to look around you as there is always something beautiful to contemplate and be inspired. In this issue, you will discover the exclusive preview, newest editorials and styling that are presented by our outstanding designers, stylist and photographers! On our cover, we have Takuya Jinn, owner-designer of Gabriel Fashion & Accessories, long-standing patron of L’Homme Magazine SL, and together we are Founders of Neo-Japan Event. 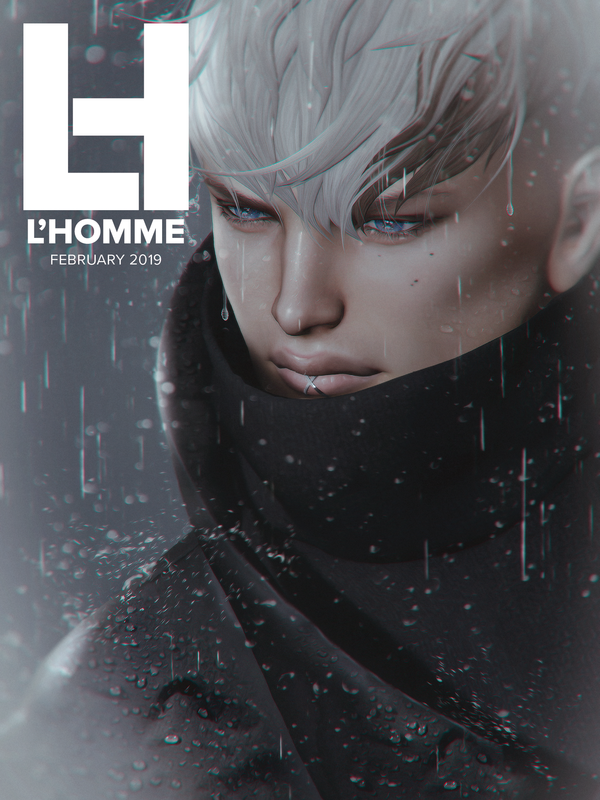 Takuya has been providing the men a huge collection that is at the forefront of SL Fashion, relentlessly and tirelessly working on new fashion designs. Readers’ Group Gifts – We thank our generous designers for the group gifts prepared for this issue. Please enjoy our latest issue!